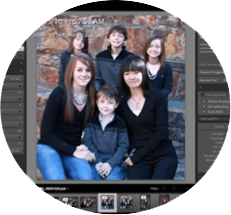 Just imagine - your photos scanned to high quality digital files. To enjoy, share and preserve forever. 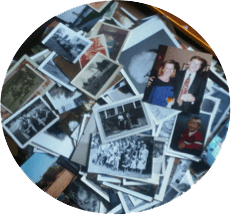 We will scan your prints into a brilliant photo library and create a FREE online album, so you can instantly share your memories with family and friends all over the world. All you have to do is mail your photos to us, any number, along with your return address details. We will scan them and send them back along with a disc containing your image library. It’s simple and quick. We will invoice you on completion – you can pay by cheque, bank transfer or PayPal. You only pay when you’re happy. It’s as easy as …. 1: Collect your photos and send them to us. 2: We scan and process them to make sure they're perfect. 3: Your photos and brilliant new image library are sent back. Enjoy. I am so pleased with the photos you scanned. I've just looked at the pictures which brought back happy memories of holidays with the children after my husband sadly died in 1967. You've made an excellent job, so glad I found you on the internet. Thank you once again for the wonderful job you did with all my old prints and also for your kindness with collection, delivery and downloading. I watched the video this morning and am delighted at the quality considering the age of the photos. I am so pleased with the photos you scanned. I've just looked at the pictures which brought back happy memories of holidays with the children after my husband sadly died in 1967. You've made an excellent job, so glad I found you on the internet. Thank you once again for the wonderful job you did with all my old prints and also for your kindness with collection, delivery and downloading. I watched the video this morning and am delighted at the quality considering the age of the photos. I genuinely can't think of anything you could do to improve; I have had a great experience, from finding you on Google to receiving my disk and photos back. The price was the most competitive I found and other companies will try to put you off, however, the payment after service option meant I couldn't lose and I didn't! Having used 1Scan this week I wanted to feed back on the amazing service. Speed, quality and communication were all excellent. I was recommended the service by a friend and have already recommended to several others. Dad and I are are thrilled with the results of the slide transfers. We enjoyed reminiscing this afternoon viewing disc 1 and look forward to viewing more tomorrow. I will definitely recommend your company to friends and family. I was so impressed with your prompt rely to my enquiry initially and for swift completion of the job. I’m so pleased my late mothers wish to have the slides digitally transferred to discs has been met. Dad and I are are thrilled with the results of the slide transfers. We enjoyed reminiscing this afternoon viewing disc 1 and look forward to viewing more tomorrow. I will definitely recommend your company to friends and family. I was so impressed with your prompt rely to my enquiry initially and for swift completion of the job. I’m so pleased my late mothers wish to have the slides digitally transferred to discs has been met. Thank you very much for an outstanding job. Files where we wanted, the way we wanted. Originals preserved in order and in envelopes. Will definitely be using again and recommending to others. Best service I have ever received since living in the UK!! Wonderful - thank you. Just to let you know that my photos arrived safely & I've paid the invoice. The service was fantastic and I'm very pleased with the quality of the scans - thank you very much indeed. Great quality & time saved. I have had a look at the online images and am delighted with the results. You’ve saved me a huge amount of time as well as doing it far better than I could have done! Thank you for the quick and detailed email response regarding my initial enquiry. This led to me giving 1Scan the business. My photos were scanned quickly and in exactly the order I requested. A no fuss, efficient service! Highly recommended. I entrusted Jeff to scan in my collection of over 2600 photo prints. I didn't have much time available do get the job done, but Jeff turned it around fast and I had a USB stick of my entire collection in just a few days. The quality of the scans is great and I think the price is very reasonable, especially considering he scans at 600dpi (many other websites I checked charge extra for 600dpi). Jeff just does it as standard. Brilliant service, brilliant job, completely fair and reasonable price. Thanks wholeheartedly Jeff! Great service and quick work - will use again and will be recommending to friends and family. I can certainly recommend you for a speedy, reliable service.